FIA's 10th Annual International Derivatives Expo (IDX 2017) brought together professionals of the cleared derivatives community on 5-7 June 2017 at The Brewery in London. The programme explored important political and regulatory topics shaping the cleared derivatives markets in Europe and beyond from Brexit to regulatory reform in the United States. 1,800 international attendees from 35+ countries learned about the key technological advances, major trends and new markets that are building the path forward for the industry. IDX 2017 delivered a robust programme covering the key issues, regulations and opportunities in the cleared derivatives industry. Whether deep dives into key regulations like MiFID II and Basel III or how U.S. policy shifts and Brexit affect the EU and the rest of the world, FIA crafted sessions that provided valuable information and insights from exchange leaders, clearinghouse leaders, regulators, clearing members and buy-side participants. IDX is your opportunity to EXPLORE 40+ STANDS featuring valuable products & services and cutting edge solutions. Take advantage of special networking opportunities throughout the conference to meet with vendors, learn about the latest technologies and bring back options to your company. Check out the EXHIBITION. Built in 1750, THE BREWERY keeps its origins alive as a place of camaraderie, discovery and history. While the space serves as an event venue today, you can experience vestiges of its 225-years as the Whitbread brewery. Located in the City of London, The Brewery is easily accessible by taxi, bus or tube. LEARN MORE about the venue and nearby options for accommodations. TOP OFF your IDX experience with the 10th Annual IDX Gala Dinner benefiting Futures for Kids. A must attend for IDX attendees, the Gala attracts more than 600 guests and gives you the chance to network and form deeper connections within the international derivatives community. SUPPORT FUTURES FOR KIDS when you purchase a ticket or a table and through fundraising opportunities throughout the evening. A record number of participants joined FIA at its 9th Annual International Derivatives Expo. 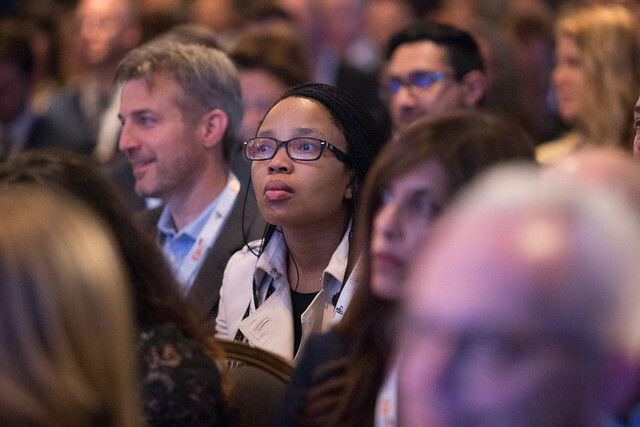 More than 1800 individuals gathered in London to explore the exhibit stands and hear from key industry leaders and regulators. CHECK OUT HIGHLIGHTS from 2016.